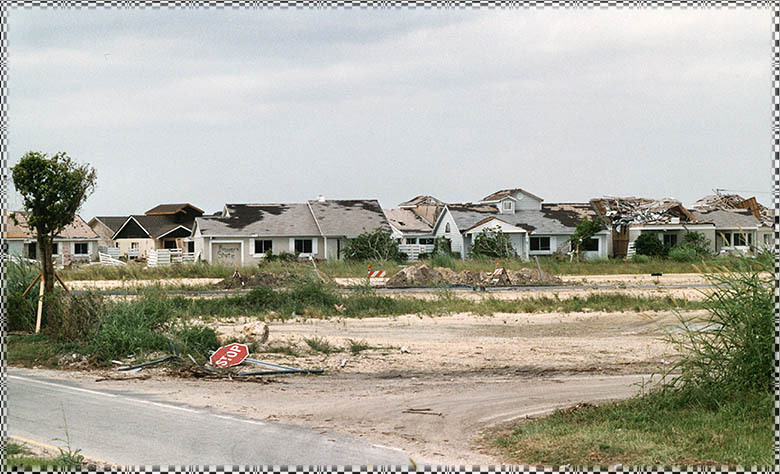 By October the weather had turned dismal in the Dutch lowlands, unpleasant 'situations' at work for the both of us: all excellent reasons to flee the country for some 'sun and fun' in Florida and recharge the batteries. Actually, there is a festival of that name in Florida, but we took our personal 'sun & fun' to Miami and the Florida Keys! 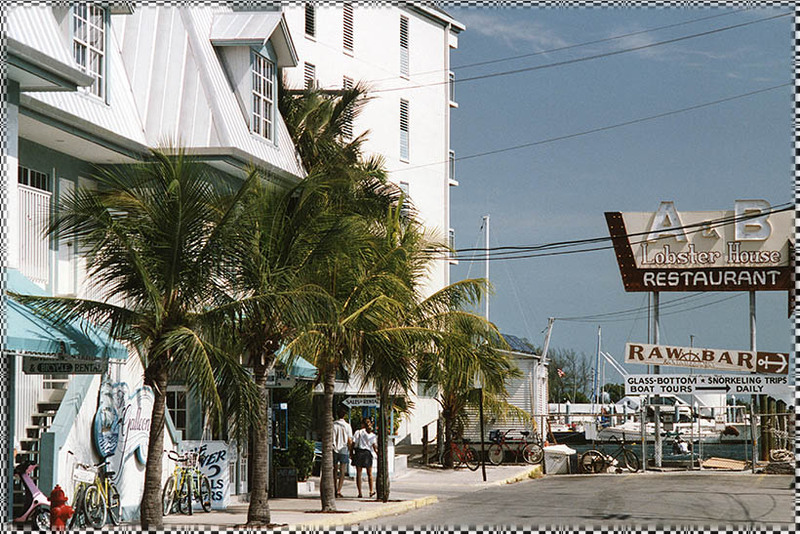 This photo was taken at Key West. 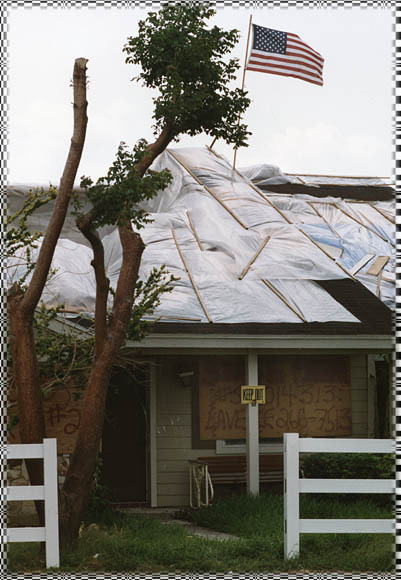 I cannot begin to understand what it would feel like to have your house damaged to such an extend. But the flag is in top, proudly! 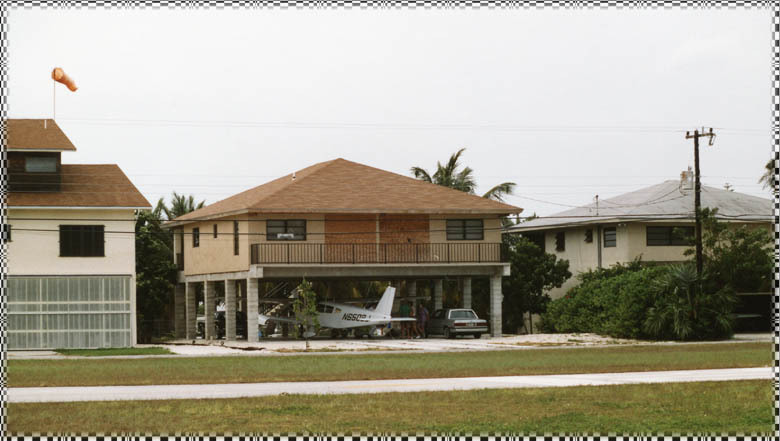 A look at Tamiami-Kendall airport: the nightmare of insurance companies! 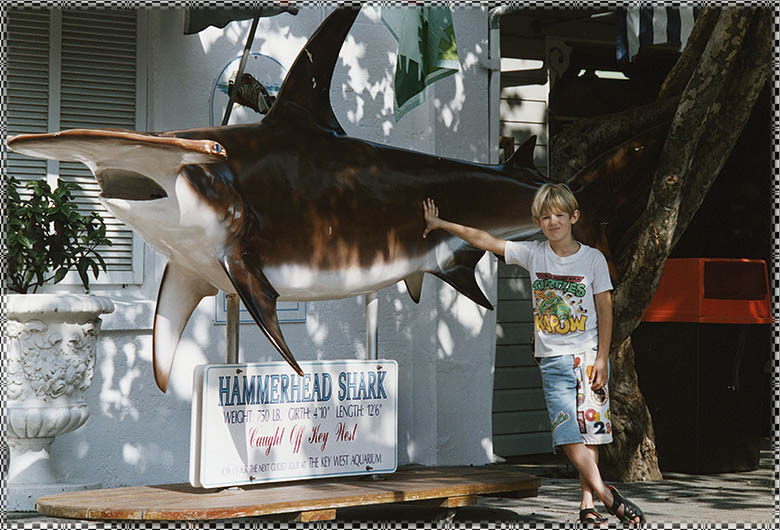 Sharks, such as this Hammerhead shark, have a certain attraction to a 7 year old kid! This was at the fantastic Key West aquarium, I too love to go to places like these. 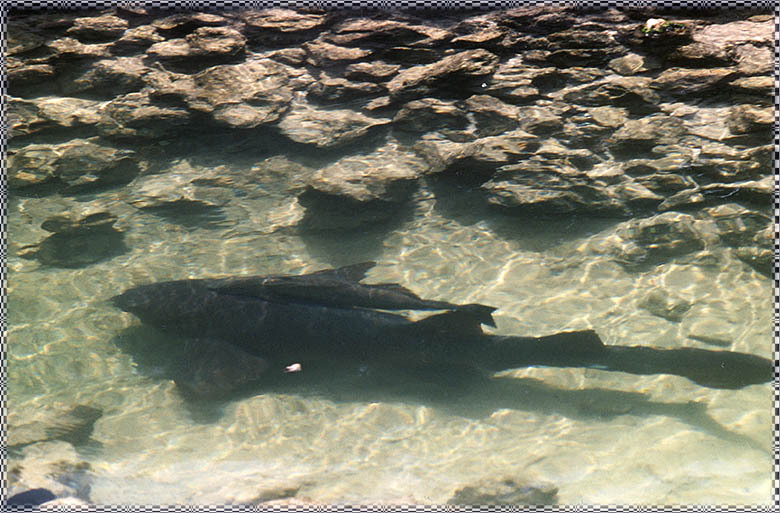 We also went to Ocean World in Ft.Lauderdale: more sharks! 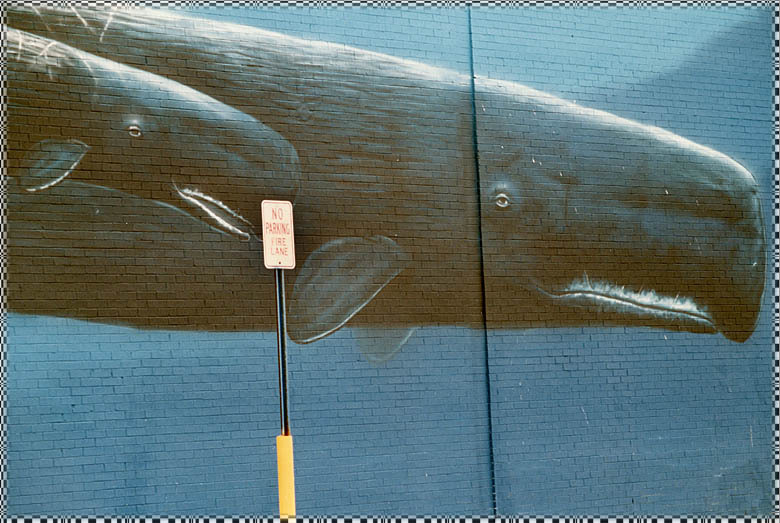 Marine life everywhere, such as on this mural by Wyland on a K-Mart building. Brilliant! 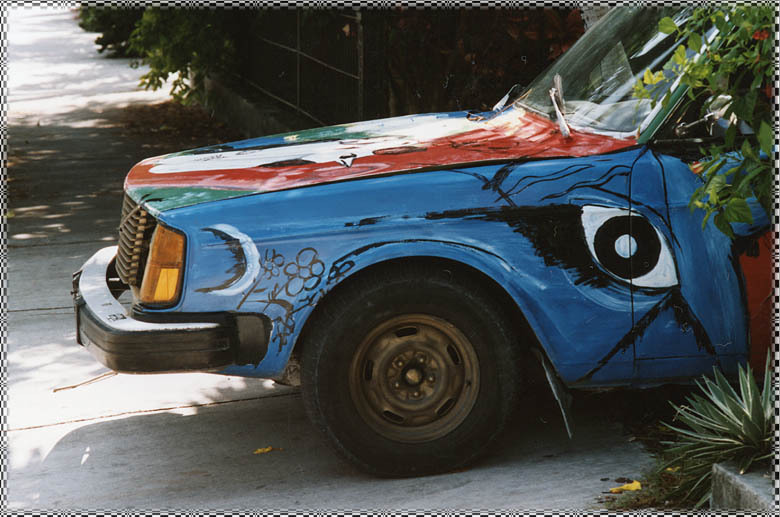 And artistic paintings on cars too, like on this Volvo. I have no special knowledge of cars, but this one is special I can see that too. 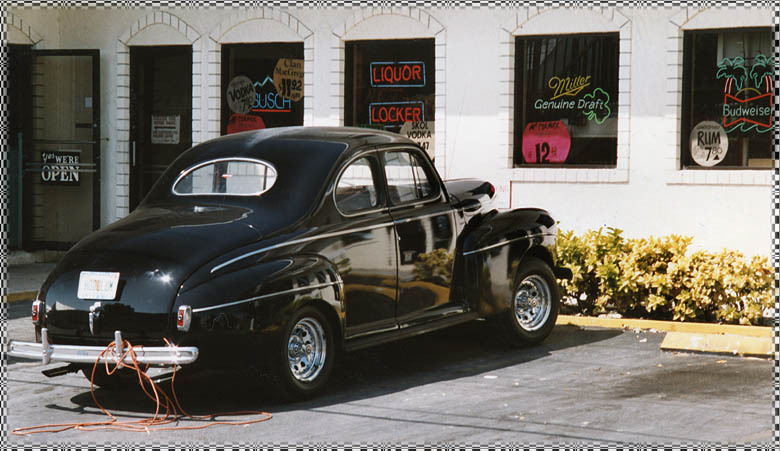 The license plate showed 'Hoodlum', so maybe it was a gangster car a long time ago ?! 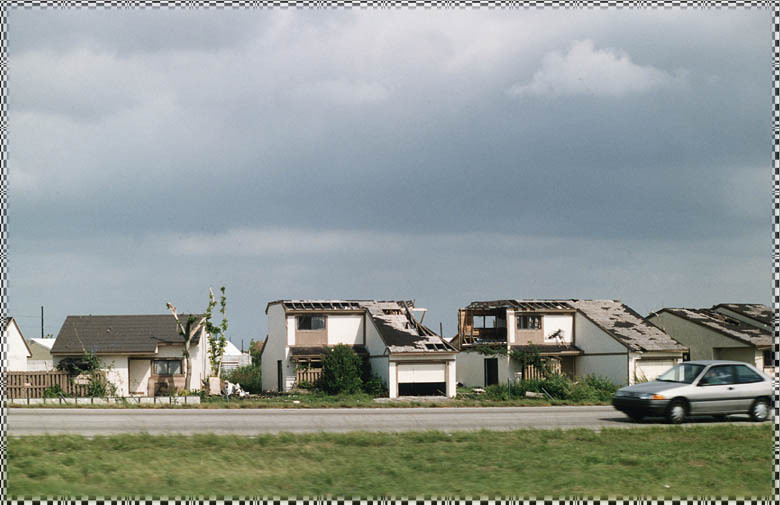 A house, cars, a plane... Am sure there is a boat somewhere too.. I looked for old propellor transports and I had found two DC-3's at Marathon. 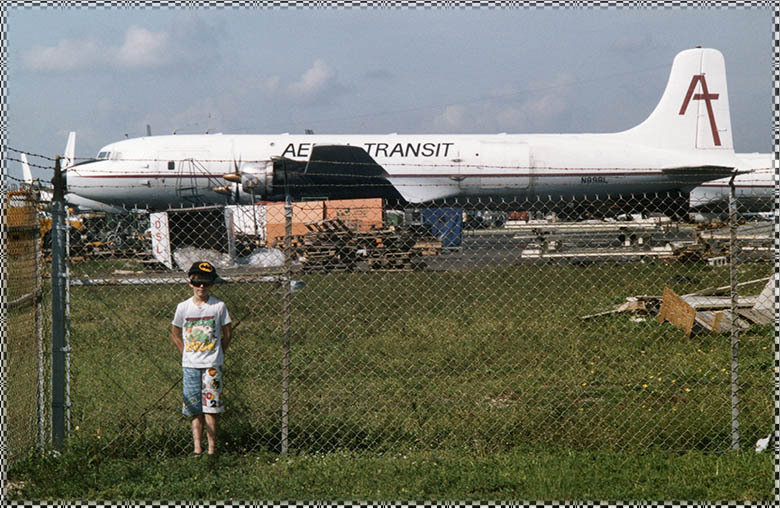 But a sure place to find these skytrucks, at the time, was in a corner of Miami Int'l Airport (nicknamed 'Corrosion Corner'). 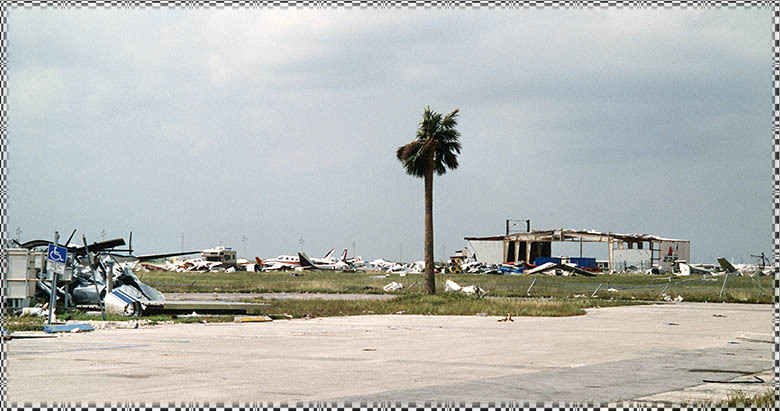 This area was later cleared for airport renovation and the operators moved to nearby airports, like Opa Locka.